Time to drag the fog machine out of storage. Rock Band series developer Harmonix confirmed with IGN that its upcoming music simulation sequel Rock Band 4 will feature vocal harmonies - a crucial co-op component for die-hard karaoke fans. While the feature was bundled with previous series entries like The Beatles Rock Band and Rock Band 3, vocal harmonies weren't 100-percent confirmed for inclusion in Rock Band 4. Early speculation hinted that the feature might be dropped along with keyboard support, in a bid to return the series to its roots. While keytarists will still be out of a job in Rock Band 4, vocal harmonies will be a headlining feature thanks to efforts from the Rock Band community. Many previously released Rock Band DLC songs that did not feature vocal harmony support will be updated in Rock Band 4 with multiplayer charts authored by the Rock Band Harmonies Project, a fan-staffed group that continued to update Rock Band 3 long after the game's 2010 release. Rock Band 4's vocal charts will also be expanded with a new improvisation feature, allowing vocalists to continue to rack up points and combos with improvised harmonies as long as they remain on-key. More good news is in store for anyone who kept their rhythm game peripherals on hand since the genre's glory days. 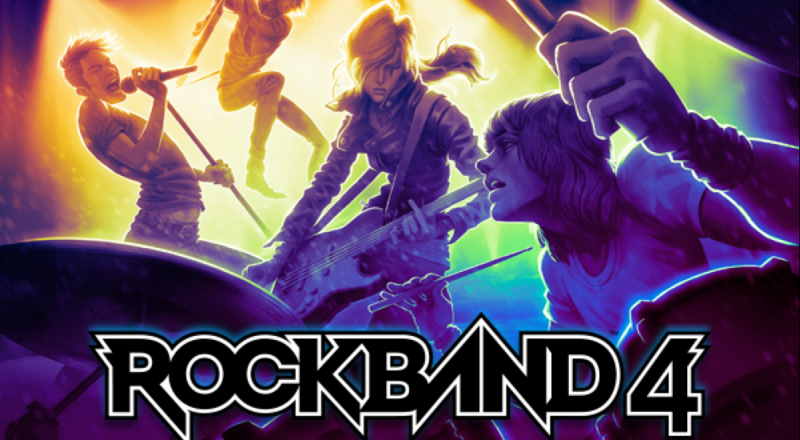 Rock Band 4 will feature support for the Rock Band Stage Kit, an Xbox 360 peripheral and that synced with in-game music and deployed appropriate ambient lighting, effects, and smoke from an included fog machine. Make sure you stock up on liquid fog solution and (temporarily) disable any nearby smoke detectors on launch day.